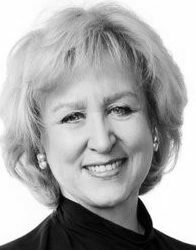 The Right Honourable Kim Campbell served in 1993 as Canada’s nineteenth and first female Prime Minister. Prior to becoming Prime Minister, she held various cabinet positions, including Minister of Justice and Minister of National Defence. She was the first woman to serve in those roles, as well as the first to serve as Minister of Defence of a NATO member country. Ms. Campbell was the Canadian Consul General in Los Angeles from 1996 to 2000, and later taught at the Harvard Kennedy School of Government from 2001 to 2004. She was also Chair of the Council of Women World Leaders, and past President of the International Women’s Forum. From 2004 to 2006, Ms. Campbell was Secretary General of the Club de Madrid, an organization of former presidents and prime ministers of which she is a founding member. Since 2014, Ms. Campbell has devoted much of her time to serving as the Founding Principal of the Peter Lougheed Leadership College at the University of Alberta. She is a trustee of the International Centre for the Study of Radicalisation and Political Violence at King’s College London, and serves on several corporate and non-profit boards, and advisory committees, including Equal Voice, a Canadian organization devoted to achieving gender parity in the Canadian House of Commons. In 2017 she chaired the Independent Advisory Board for Supreme Court of Canada judicial appointments. This appointment continues Ms. Campbell’s engagement with the School. She gave the keynote of the 2018 David Peterson Women and Leadership Series.